Updated Friday May 4, 2018 by Auburn Suburban Baseball & Softball. 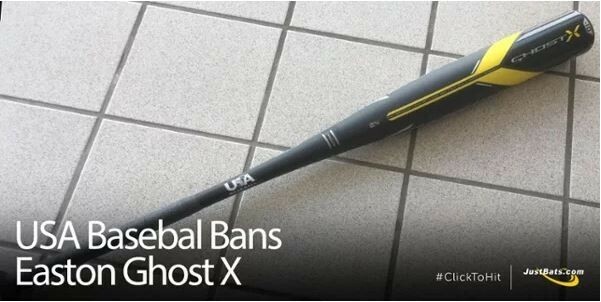 Effective May 3, 2018, USA Baseball had decertified and banned the use of the Easton Ghost X (YBB18GX10) bat, the 30” / 20 ounce version only. In adherence to Babe Ruth / Cal Ripken regulations, we can no longer allow this bat to be used at practices or games. Please refer to the sites below for further information. External links are provided for reference purposes. East Auburn is not responsible for the content of external Internet sites. Copyright East Auburn All rights Reserved.